In an alternate ninteenth century where a technologically advanced Britain holds sway over most of the known world and the American Revolution never happened, young Gideon Smith is firmly established as the Hero of the Empire. Looking quite a ways ahead again this week, but with David having just revealed the cover, now seems as good a time as any to celebrate the return of Gideon Smith. 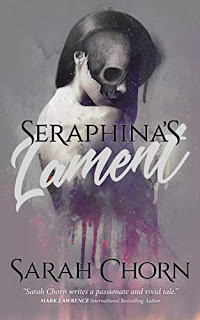 The first two books in the series have been a ton of fun, and the Ripper storyline is one I've been waiting for him to get back to. Can't wait to land an early copy of this! I do love me alternative history! Oh that's a new to me one! Sounds intriguing too! I enjoy a good alternative history twist! Hope you enjoy it once you read it! I read and liked Gideon Smith and the Mechanical Girl. 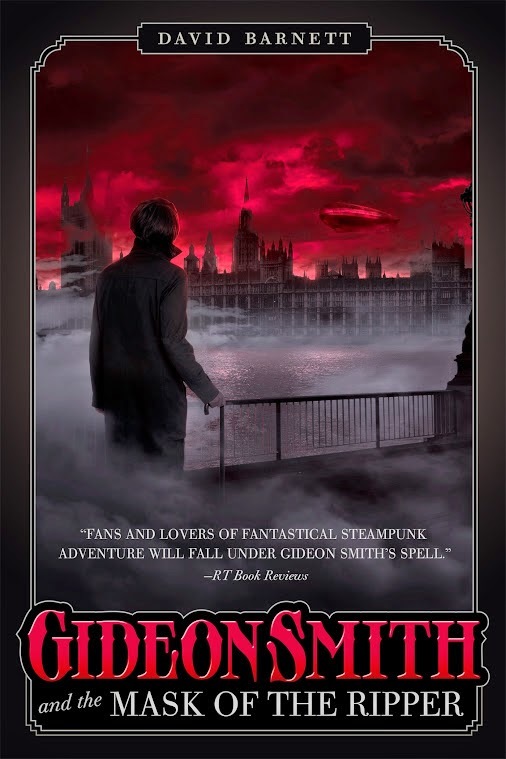 I have a paperback copy of Gideon Smith and the Brass Dragon at home and after reading your post I preordered a copy of Gideon Smith and the Mask of the Ripper. 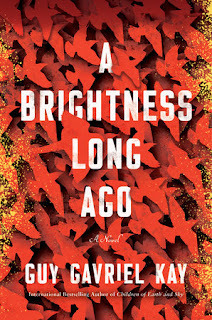 Thank you for bringing up the book to my attention. I haven't read this series, but I've heard good things about it. 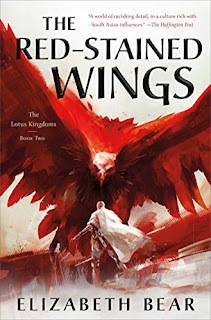 Plus, the red on that cover is seriously beautiful! This is new to me and it sounds really good, I hope you enjoy it! Somehow I let the first couple Gideon Smith books go by and missed all the fun, but I've definitely found the premise of this series intriguing! I've not read these, but then I don't have the best history with steampunk for some reason. I haven't heard of this book before now but it sounds quite interesting.